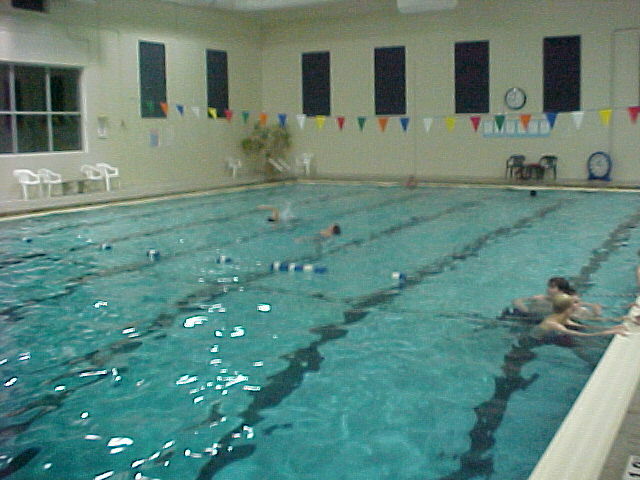 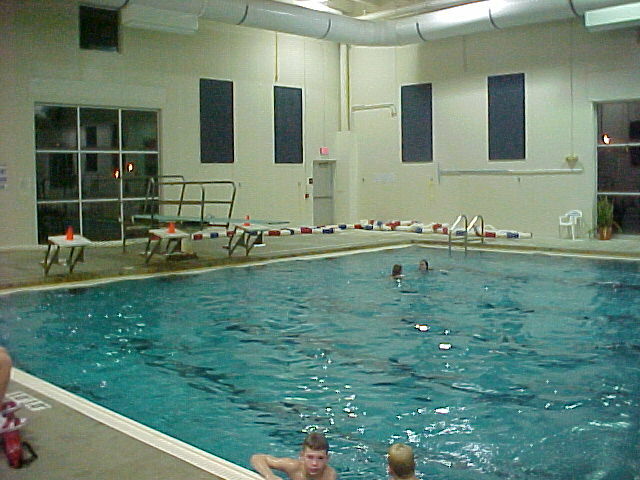 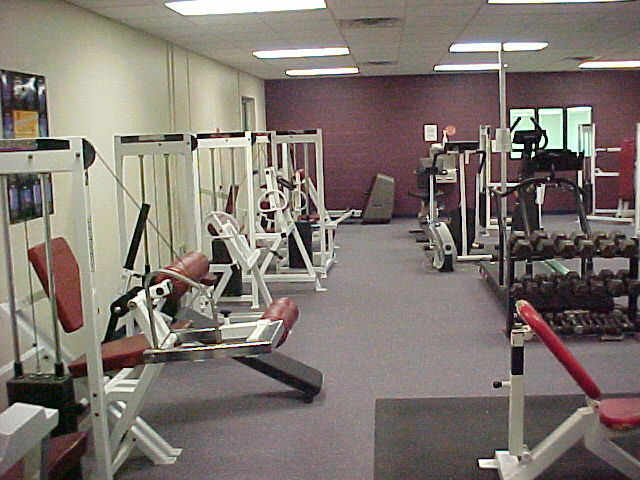 Here is our fitness room. 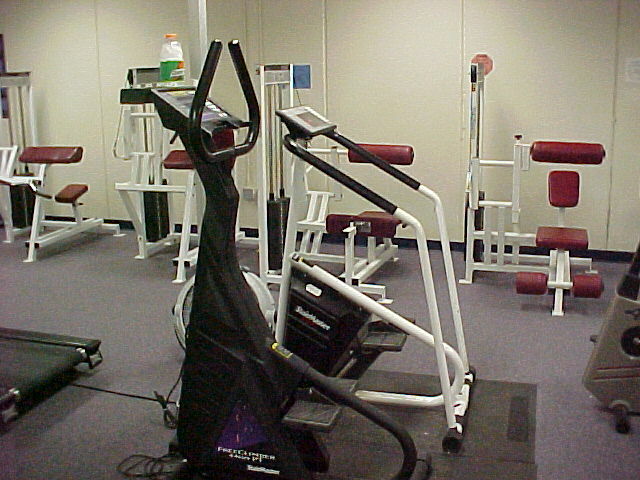 We have a full line of Universal Fitness machines for your use. 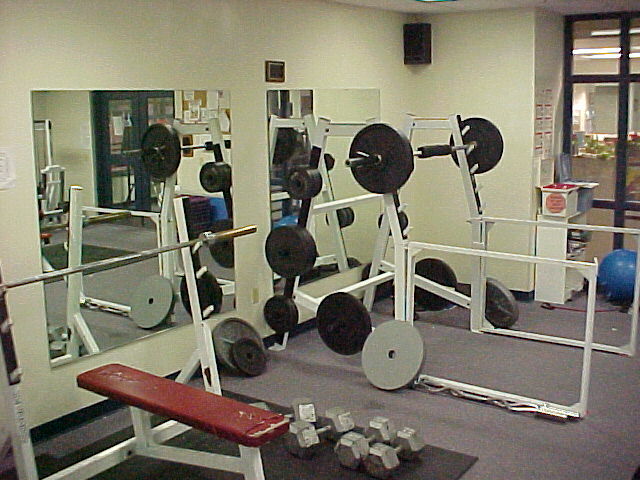 We also have free weights, to include a squat rack, bench, incline bench, and dumbells. 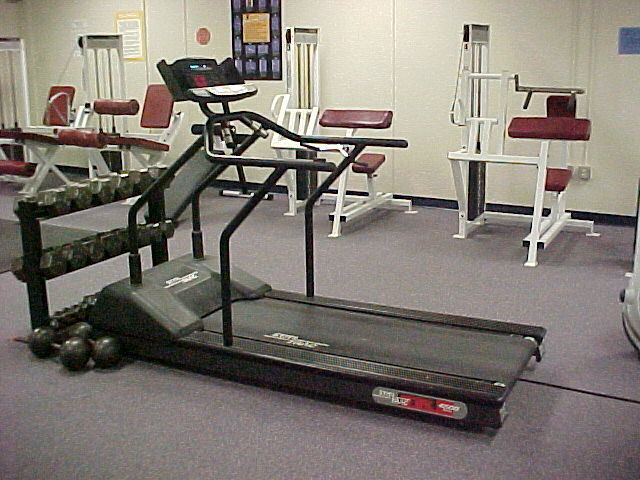 We also have a treadmill and two stair steppers.